Image format: SOS will accept most common formats: JPEG, PNG, GIF, TIFF, etc. We prefer JPEG or PNG. The images need to be plotted on a equatorial cylindrical equidistant projection. Many people just call this a simple lat/lon grid, where the image is twice as wide as it is high (rectangular). Science On a Sphere uses the hardware accelerated features found in modern day video cards, and in order to optimize performance, the video cards require the image dimensions be a power of two. To that end, image dimensions should conform to the following guidelines. 2048x1024 is the minimum size, but we recommend content that is 4096x2048 in dimension to get the highest quality image on the sphere. Some of the Earth system images we use are extremely large, on the order of 8196x4096 (and larger!). If an image is larger than 4096x2048, then the system has to scale the image before display (reducing maximum frame rate). Here is a sample image for illustration purposes, scaled down to 1024x512 to make it easier to download. The data should take up the whole image, no borders, no extra space around the edges. The data should fill the image completely. Labels are OK, but the text will get warped and distorted when it is rendered to the sphere if the labels are part of the images. Label information should be kept external to the images, in a text file, or embeded in the file name. The image file names, for a sequence of images, should sort in ascending order from earliest to latest. For sequences, we usually embed a frame number in the file name, with a sufficient number of leading zeros where necessary to sort correctly. Once images are in this format, they can be copied to and processed by the the SOS system for display. A sequence of images or an mp4 that animates through time. An example of this would be a loop of satellite data for the month of August. For time series data, each image is preprocessed by the system before it is displayed. After the images are processed, SOS will display the images in sequence and play them like a movie across the entire sphere surface. Images can be of any arbitrary length, limited mainly by disk space and can be animated at framerates up to 30 frames per second. Transitions, special effects, and other computer graphics techniques can be added to a sequence through the use of off the shelf software like Final Cut Pro. Mp4's allow for higher resolution and faster frame rates than image sequences. Science On a Sphere uses basic image formats like JPEG, PNG, and TIFF as it's main input format. Many tools exist that can manipulate images, Photoshop, FinalCut Pro, ImageMagick, GIMP, etc. 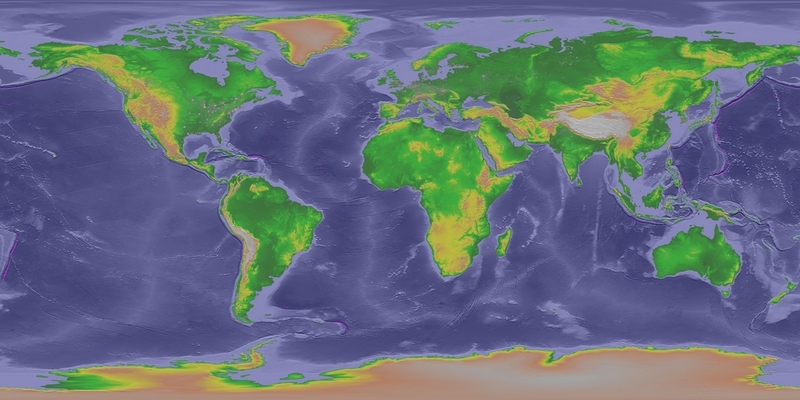 At a higher level, tools like IDL, AWIPS, McIDAS, and other image analysis applications are typically used to create imagery from scientific data sets. As an example, we have used AWIPS (Advanced Weather Information Processing System) to create images from numerical forecast models. A graphics designers can use a 3D modeling applications, like 3D Studio, to create advanced visualizations for SOS.